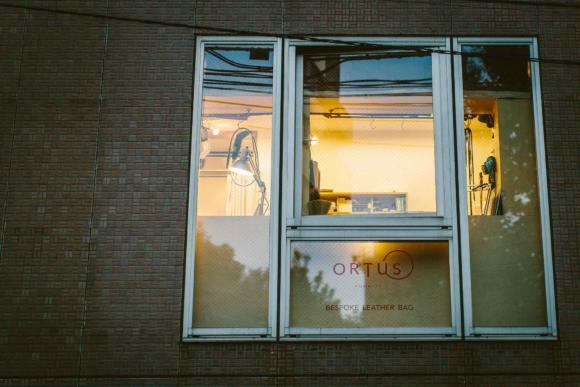 Ortus leather goods are run by Naoyuki Komatsu (above) from a small leather workshop in Tokyo, just around the corner from Clematis shoes, where Komatsu was based until he set up his own company in 2012. They are entirely hand sewn, often rather original in construction, and are 95% made to order. Impressively, Komatsu also makes a lot of his own hardware. There is a small amount of ready-made production, which is available at The Armoury in Hong Kong and New York. It is often snapped up pretty quickly - currently there is one portfolio ($2700) and one briefcase ($4500) available. This is obviously very expensive, but still great value compared to the hand-sewn products from the likes of Hermes or Dunhill, and it's all made on site by Komatsu and his team of four. 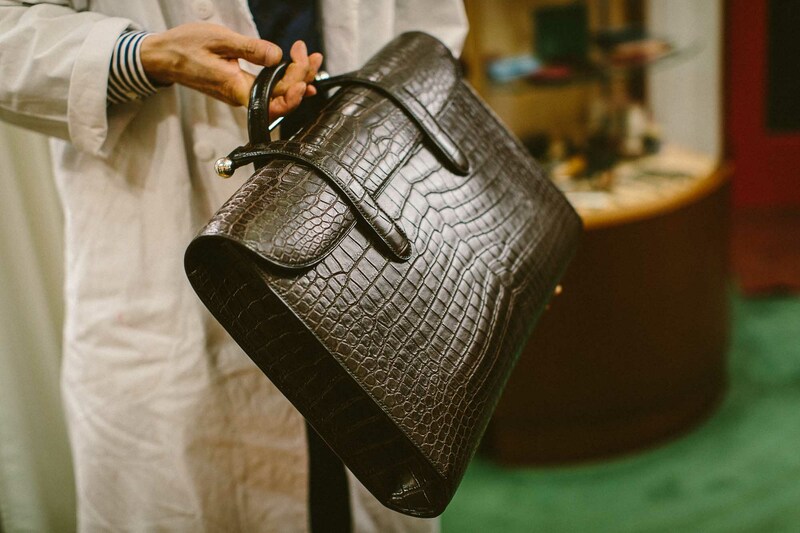 The briefcase (also known as the music bag), shown above, is one of their best-known pieces - made for a customer here in dark-brown crocodile. The looped handle over a brass bar (made in-house) functions surprisingly well, and the flowing design fits with the one-piece body of the bag - something Komatsu likes to do wherever possible. 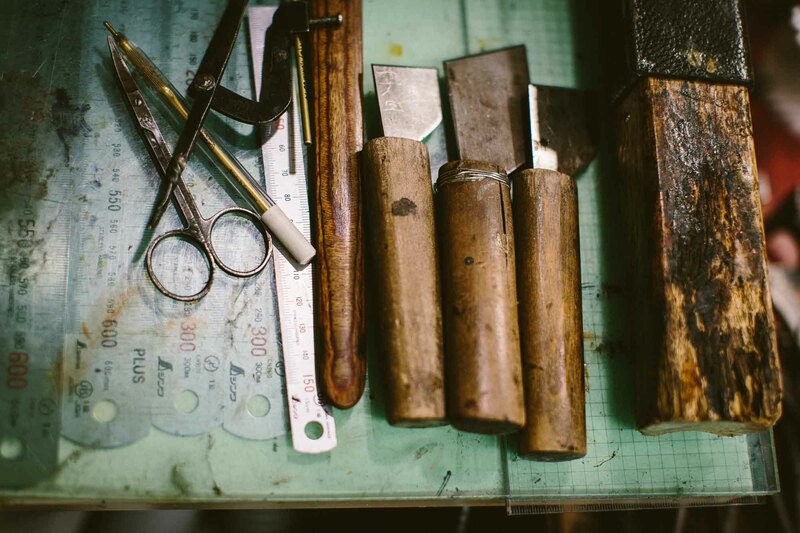 "It's such a shame to cut up a nice piece of leather into parts," he says. "There's a lot more pleasure in using one piece around the whole outside." Another well-known design is the folio (top row, second from the right). This again is one piece, and the small brass clasp is Komatsu's own design. These are often made up in a grained or embossed calf because they are don't scratch easily - though Komatsu himself largely prefers plain box calf. 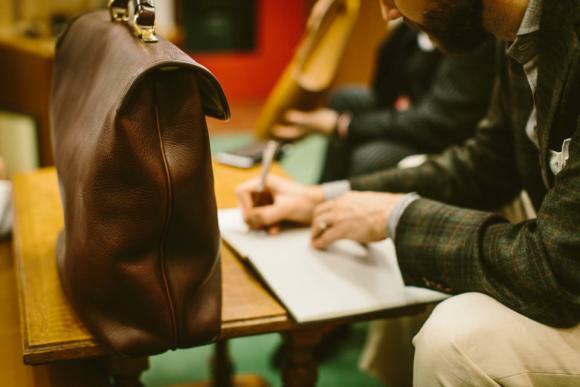 The full bespoke experience is more expensive and involves a series of meetings, sketches and a prototype in a waste leather - as you would expect. The piece below was made bespoke for a customer, who designed the shape and pocket configuration for his various needs. Komatsu originally started in fashion, working as a designer before starting his apprenticeship. That was at Fugee, where he learnt for one year before working there for a further eight. After that he set up with Clematis, and they worked together for four years, before Komatsu ventured out on his own. Today he still teaches, keen to pass on knowledge whenever he can. He teaches in the workshop three nights a week: "People can stay on the course as long as they like - there is no limit. One has been on it for eight years, they have a day job and this is a form of hobby." 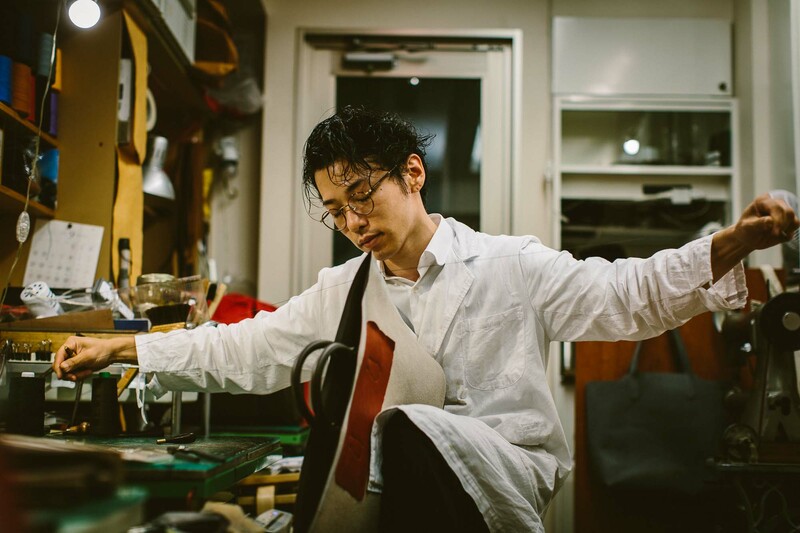 This fine-craft-as-hobby attitude permeates a lot of Japanese culture, and is perhaps one reason so many Japanese shoemakers - for example - set up on their own. Former Prime Minister Morihiro Hosokawa even took up pottery when he retired, studying under an old master who made him work 13 hours a day and called him a "stupid old man". 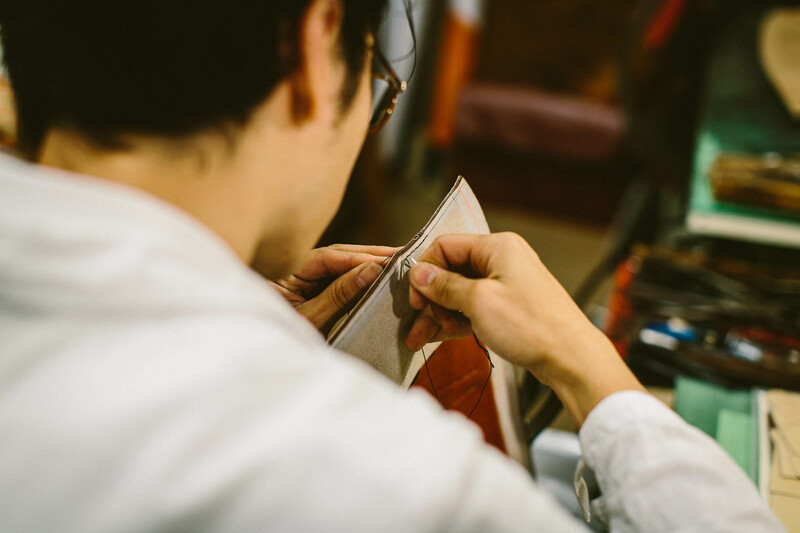 This relationship between culture and craft is something I talked to a lot of Japanese craftsmen about, and will expand upon in a future post. For the moment we'll leave Komatsu-san in his workshop, trying to figure out a new hardware design. "The best stuff is all from England, but they won't design anything new," he comments. "We have to do all that ourselves." 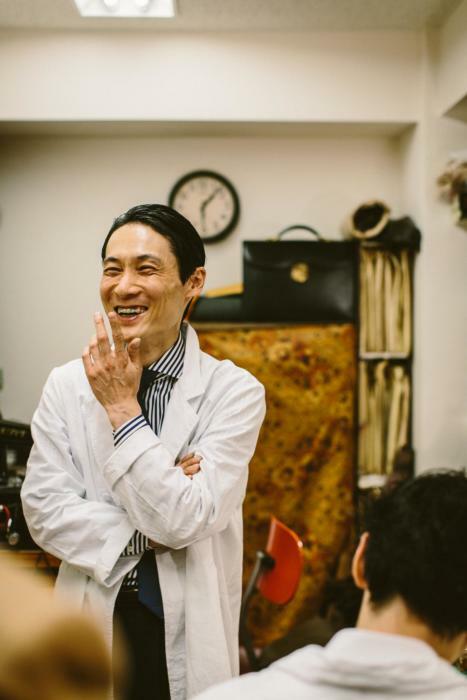 The prices for pieces when ordered in the Japan workshop are ¥350,000 for the music bag,¥95,000 for a coat wallet (both in calf) and much, much more for the alligator. You can follow the discussion on Ortus bespoke leather goods, Tokyo by entering your email address in the box below. You will then receive an email every time a new comment is added. These will also contain a link to a page where you can stop the alerts, and remove all of your related data from the site. Excuse the ignorance but what exactly are you referring to when you use the term “hardware”..? Not at all. The metal bits on the leather goods – eg handle, clasp, hinges etc. 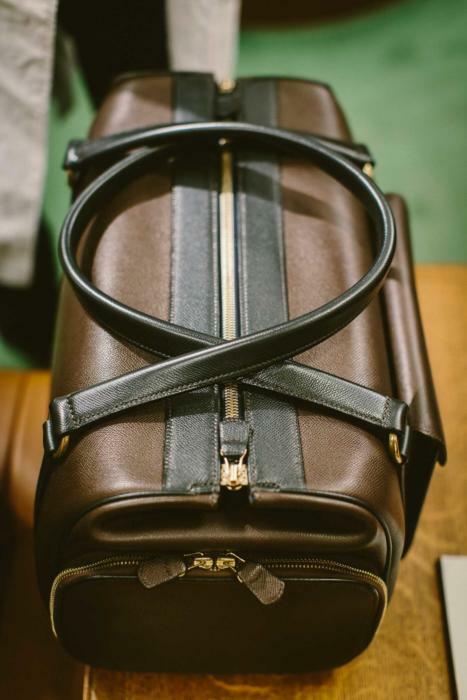 Aside from the leather, it’s the thing that makes the biggest difference to the look of the bag. Rather like buttons on a suit. Hi Simon, thanks for yet another informative post. How does one get in touch with Komatsu-san? Thanks. 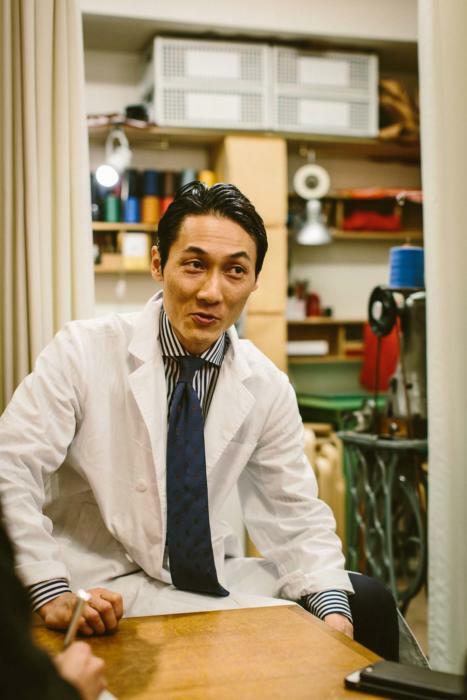 Nice work here and how refreshing to see that Naoyuki Komatsu offers free night classes. Just cannot imagine that happening here in the UK where everything is about profit. 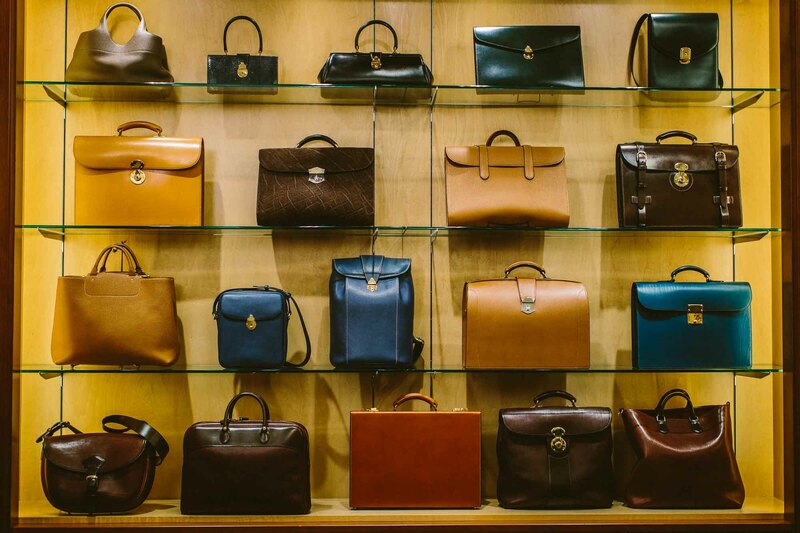 It is such a shame though that such wonderful quality cannot be appreciated by the ‘average’ guy on the street – who would most probably appreciate it more than many of those who could easily afford several bags! Very much looking forward to the article on the cultural importance of craft in Japan. If more of us in western societies pursued excellence in a hobby there might be a greater appreciation of quality and durability in the things we use and wear. I have a number of knit scarves and I was wondering what the proper way to store them would be. Currently I fold my scarves but this creates wrinkles. Would it damage the scarves or cause them to be misshapen over time if I were to hang them? Most of them are quite soft merino and cashmere, and one or two are chunky cotton-cashmere blends. None of them are hard and scratchy, or woven. Ordered basically the same bag as the one you have in front of you in the picture at the table, this summer. Was truly amazed of the alligator music bag, but that’s going to have to wait. Hi, Simon! May I ask how you would compare Ortus to Chester Mox, about whom you have previously written? thanks! Can we do a shootout of briefcases or some small leather goods among Dunhill Bespoke, Hermes, and Ortus? Order the same object from all three and compare/contrast each one? There is very little content out there on how to look out for quality in leather products. How would you rank the three? Is Ortus equivalent in quality to the other two? How much more does it normally cost for a bag that is made of crocodile?